Winter has only been here for a month, and I’m already willing it to end. My lips are chapped and painful; my complexion looks tired and dull; oh, and don’t even get me started on the dry patches slowly taking over my face and body. It’s safe to say that Jack Frost is wreaking havoc with my skin (and my mood) and I’m sure I’m not the only one. Unfortunately, I don’t have a time machine to transport us into Summer. But I do have the next best thing for you: a winter skincare line-up that’s nourishing and protective enough to give the elements a run for their money. Who knows, with these in your skincare stash you might start to love this dark and dreary time of year… or, if you’re anything like me, you’ll just be thankful for a happier complexion while you await the sunshine. Why does Winter affect our skin? Cold air tightens the skin’s pores and reduces blood flow. This reduces naturally occurring oils (sebum) and dries out the complexion. This, paired with yoyoing back and forth between freezing outdoor temperatures and a centrally heated building can result in dryness and increased sensitivity. 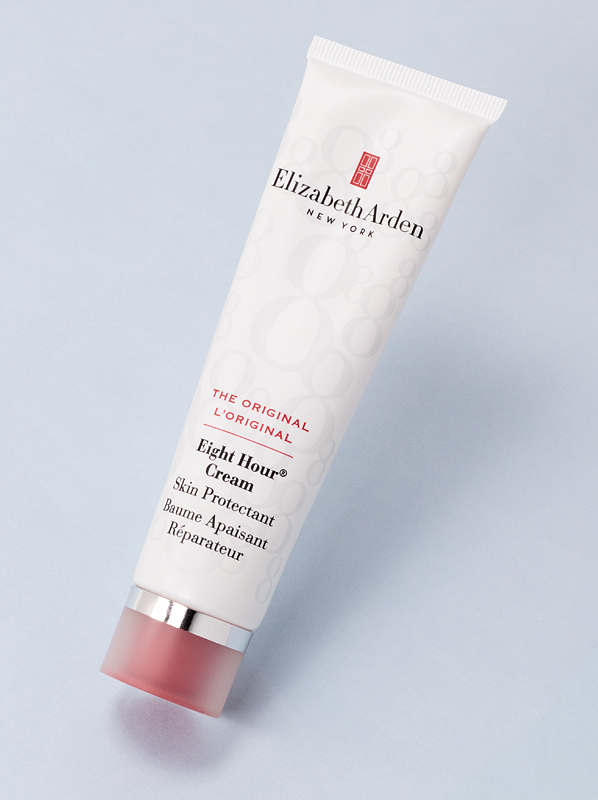 When my lips are cracked, chapped and peeling there’s only one brand’s door I knock on: Elizabeth Arden. Their award-winning Eight Hour Cream is my secret potion for winter lips, and there’s nothing I trust more to get my pout back on track. The balm consistency of Eight Hour is a little thicker than many other lip balms, but that’s what makes it so good; it’s jam-packed with hard-working ingredients including petrolatum, vitamin E and salicylic that soothe, hydrate, heal – you name it, it does it! Tip: The Eight Hour Cream has so many purposes it’s borderline showing off. You can use it to condition your hands and heals, smooth flyaways, tame brows and even highlight areas of the body like the collarbone and cupid’s bow. Sometimes we don’t need to look out the window to tell it’s winter because the signs are showing all over our faces. Think flaking skin, dehydration lines and usually, for me at least, a pretty sad facial expression. At times like this when ‘fix everything’ is the requirement, I reach for The Ordinary ‘B’ Oil. The ‘B’ stands for ‘Blend’ as it contains not one, but eight different oils (marula, aragan, baobab, pataua, brazil nut, inca inchi, rosehip and borage) that treat everything from dehydration and irritation to acne and eczema. The ‘B’ Oil is a great introduction to oils, and it’s one of the most lightweight and fast absorbing I’ve ever come across! Tip: When the temperature drops below 0 switch your water-based moisturiser for an oil. Why? Water-based formulas will freeze in your pores and could cause broken capillaries. Winter has a habit of making us feel tired – we can thank the dark mornings and evenings for that! This feeling of exhaustion often leads to us looking exhausted, which tends to first rear its ugly head as undereye bags and puffiness. 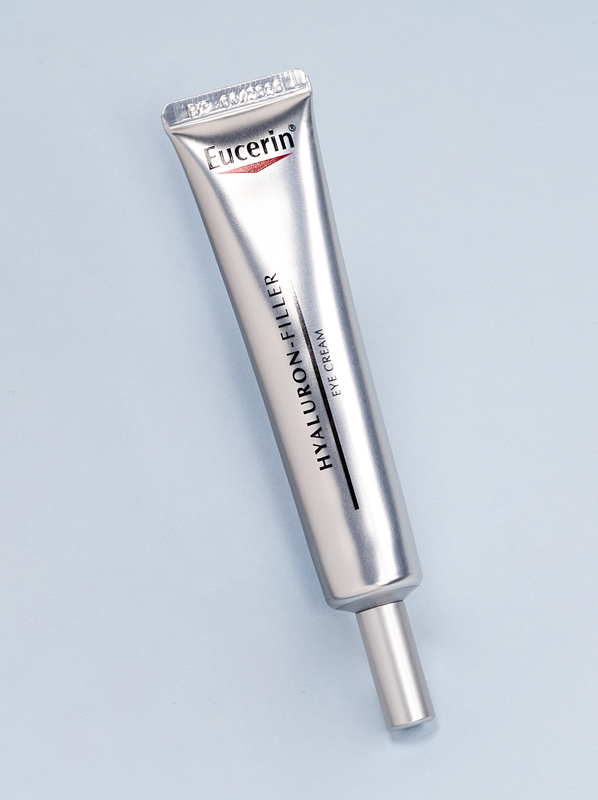 Luckily, it’s not all doom and gloom; not when you have the Anti-Age Hyaluron-Filler Eye Cream anyway! 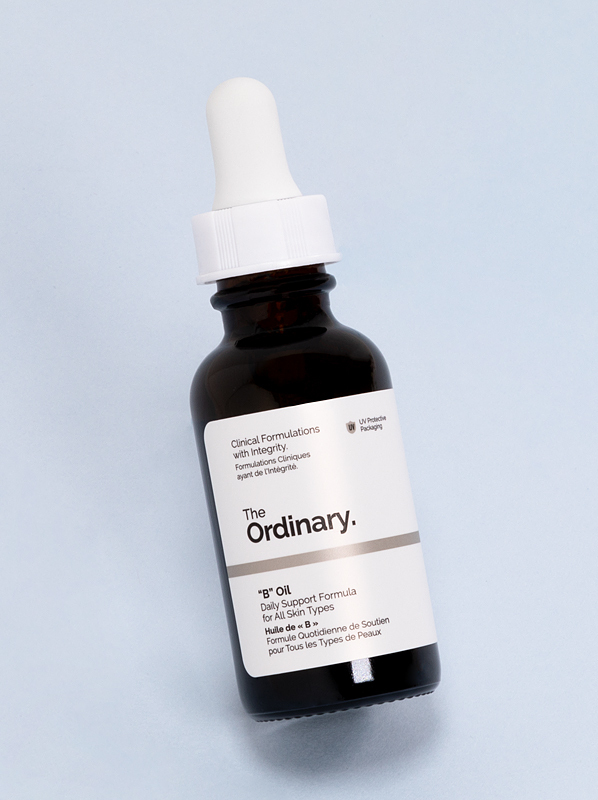 This quenching formula works wonders on crows feet and wrinkles but it’s also a great choice for the winter months; it contains low and high molecular-weight hyaluronic acid, which enhances the skin’s ability to preserve moisture. The result? An eye area that looks plump and refreshed! Tip: Apply your eye cream with your ring finger as this is the weakest finger and will give the lightest touch. In the summer it’s easy to keep SPF front of mind because the sun’s usually staring us blindly in the face. In the winter, however, it’s not so easy. But just because we can’t see the sun doesn’t mean the dangers aren’t still there. UV rays are important to acknowledge and defend against come rain or shine, which is why an SPF should be included in your skincare routine all-year round. 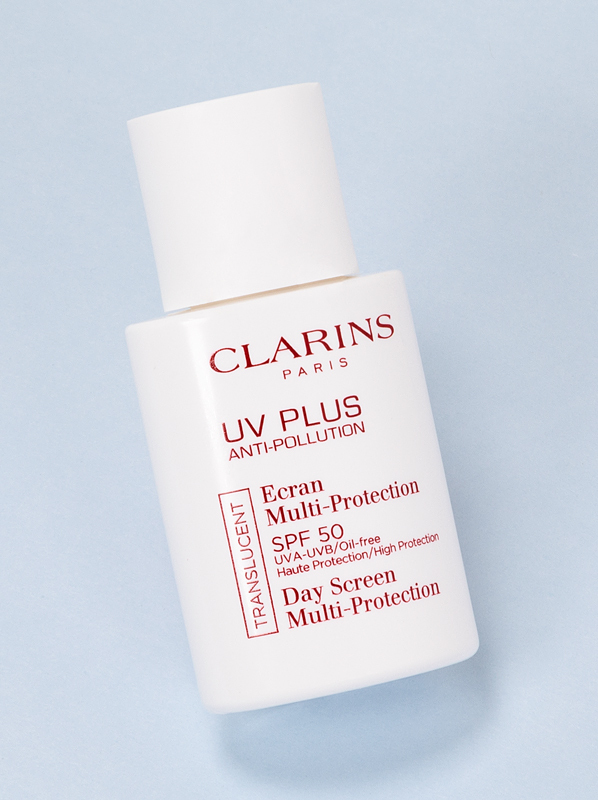 One of my favourites and one I always recommend is the UV Plus HP Multi-Protection Day Screen SPF50 by Clarins. It sits wonderfully under makeup and contains antioxidants that help protect skin against pollution. It’s sun protection made easy! Tip: Pop the UV Plus formula on after skincare but before makeup – it leaves a lovely velvety finish on the skin that’ll help your foundation adhere to your skin and last for hours. I know what you’re thinking: how can winter affect my hair? But extreme changes in temperatures can cause our tresses to lose its shine and feel brittle, which isn’t exactly a recipe for hair swishing! That’s why, as the cold and dark evenings draw in, a super nourishing shampoo should be brought out. 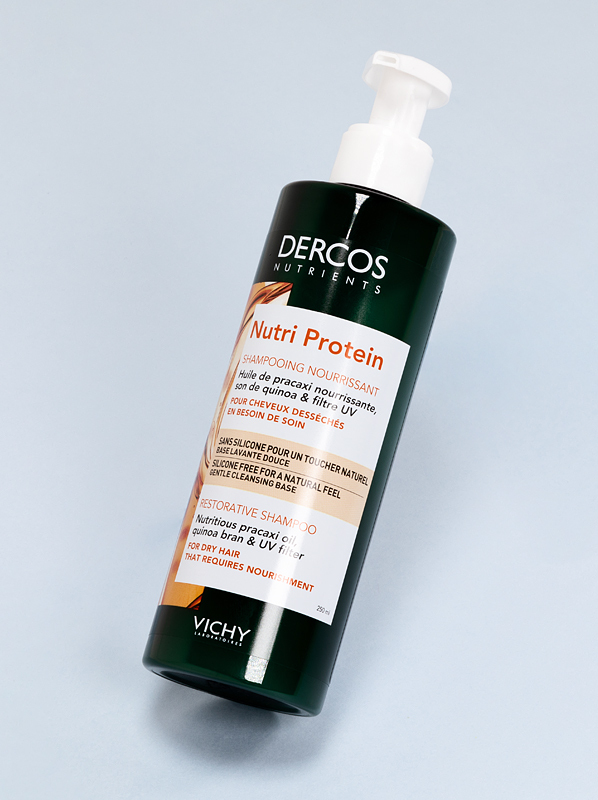 In my shower right now you’ll find the Nutrients Nutri Protein Restorative Shampoo by Vichy. Enriched with omega-rich pracaxi oil (rich in omegas 3, 6 and 9, fatty acids and lipids), the shampoo is designed to give hair extra support so that it looks (and feels) healthy, strong and lustrous whatever the weather. Tip: When washing your hair use lukewarm water. Hot water can dry out and damage the skin on your scalp, which could be extra sensitive during winter. Mums’ and dads’ this one is for you! We’ve talked about safeguarding our own bodies from the elements but what about our babies? Young skin is even more sensitive to changes in temperature, so it’s essential to protect their fragile skin from the harsh weather. For speedy peace of mind, I suggest adding the Mustela Hydra Bebe Lotion to your collection. It’s an ultra-gentle moisturiser that has 88% natural ingredients, one of which is Avocado Perseose, a patented ingredient that reinforces the skin’s barrier. Free from all the nasties you can think of, this Mustela lotion deserves a spot in every baby bag. Tip: After bathing your baby, pat them dry to preserve the moisture of the skin, then apply the Hydra Bebe Lotion head to toe. This entry was posted on Tuesday, January 29th, 2019 at 12:16 pm and is filed under Hints & Tips, Men, Skincare, Tried & Tested. You can follow any responses to this entry through the RSS 2.0 feed. You can skip to the end and leave a response. Pinging is currently not allowed.